Confluence has proved to be one of the leading software for team collaboration and content management. This platform is a perfect combination of a document storage and wiki site where all team members can easily create, review, update, and share content. Various sets of permissions and restrictions help you differentiate access to sensitive information thereby taking your business to the next level. 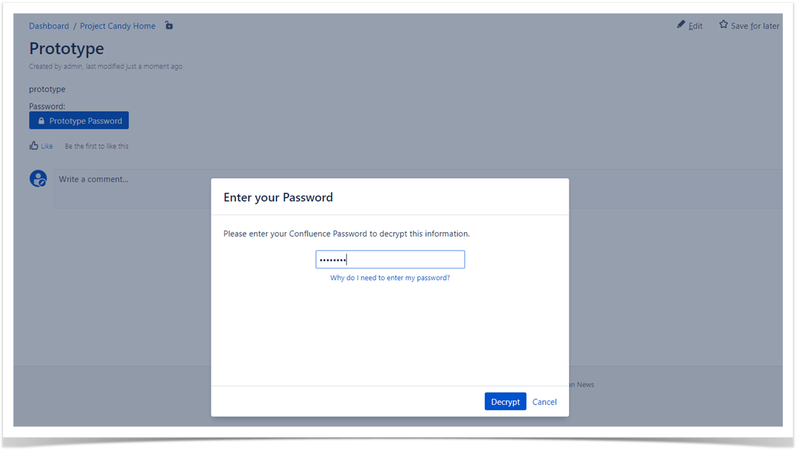 Today, we continue our blog post series that highlights permission and security tips and tricks for Confluence users. How to quickly make your space read-only. What non-visible features the default confluence-administrators group has. How to easily troubleshoot a common problem with page restrictions. What non-obvious tricks can be performed with anonymous access. We’ve chosen the top-rated apps from the most reliable Atlassian vendors that will help you boost your Confluence administration skills. We’ve already told you about the SU for Confluence app from The Plugin People. It allows you to quickly access account of any Confluence user and troubleshoot their problems easier with no need to log out. In this blog post, we’ll show you how to easily and securely share and collaborate on sensitive data right on Confluence pages with public access. If someone captures your active browser session, he or she will be able to access all the information in your Confluence account. Keep in mind that your system administrator has access to everything in Confluence. 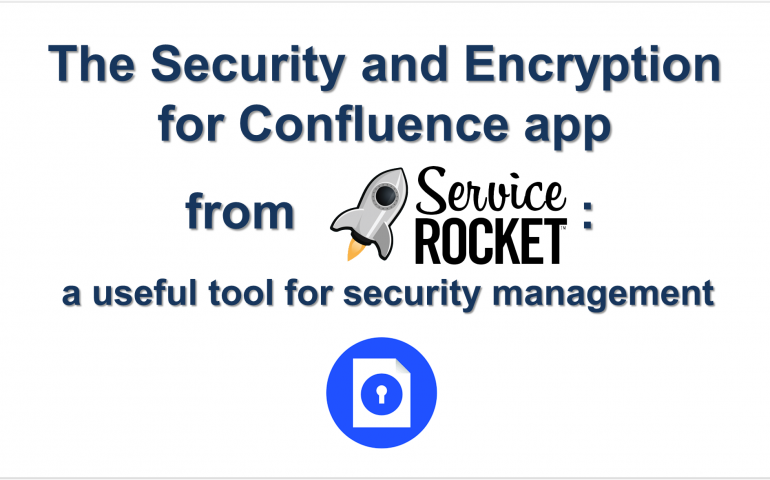 You can use a simple and trustworthy solution from ServiceRocket, the Security and Encryption for Confluence app. This add-on provides you with a special Secure macro that helps you store your sensitive content inside its body. Let’s check how this macro solves the problems mentioned above. Imagine that you need to create a secret entry for a password. Only you, as the creator of the Secure Macro, and your company’s senior manager Smith Wesson should see it. As you can see in the picture, you can easily choose users or groups that can view secret information. But the chosen users won’t get access to your sensitive information immediately after they log in to Confluence. They will be prompted to enter their Confluence password to decrypt the information. It is obvious that the system administrator can still view everything. However, you can open the Audit Log with the list of users that viewed the encrypted information. If you aren’t allowed to decrypt sensitive information, you can request access. Confluence will send the request notification to the owner of the Secure Macro. The owner may edit the Secure Macro and change permissions. 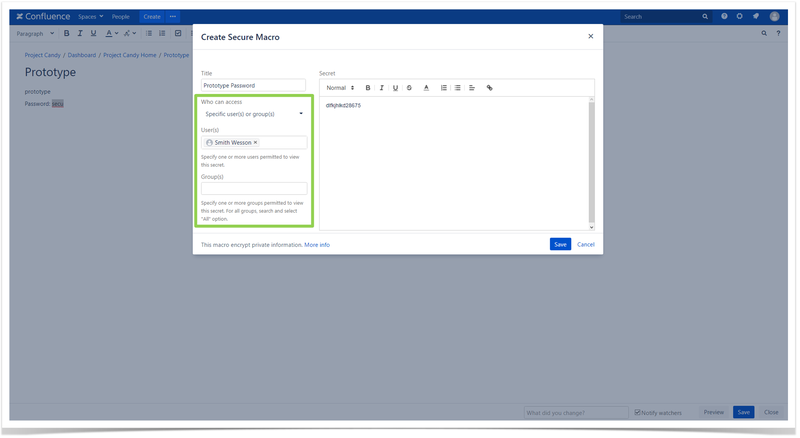 If the user account of the owner of the Secure Macro no longer exists, system or Confluence administrators have default access to this macro in the page edit mode. The app records all the actions to the Audit Log. You can set your personal display timeout that is used every time you view the Secure Macro. This setting will be applied to all Secure Macros in your Confluence instance. 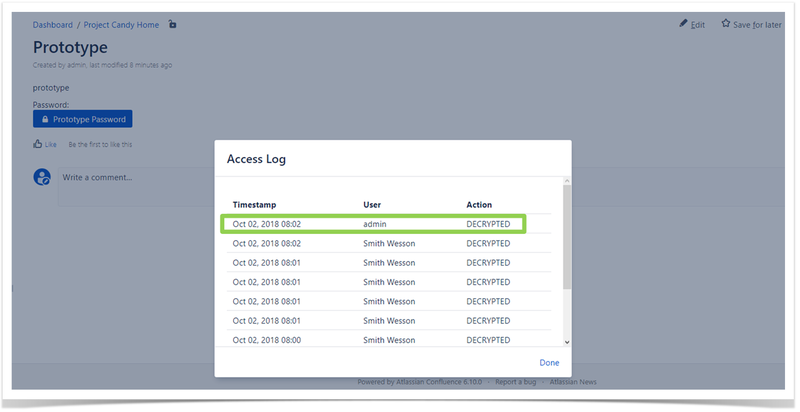 Installation of additional apps related to permission and security management empowers Confluence with new capabilities that its internal Confluence settings may lack. Take our ‘Advanced Permission and Security Management in Atlassian Confluence’ course to learn about other apps that will add missing features to your Confluence instance. 50% off for the first 3 months after the release! 20% off to purchase the recommended apps! Bonus lesson featured by META-INF! In this training course, you will have opportunities to practice everything you learn using Confluence Server lab environment. After completing the given tasks, you will be sent proper feedback from our instructors. If you decide to buy the recommended apps for permission management, you’ll get discounts from such Atlassian vendors as META-INF, Comalatech and ServiceRocket. Try our new course and enjoy your study with StiltSoft! If you have any questions, please, contact courses@stiltsoft.com.